RFID is an emerging, albeit mature, technology. There is certainly no dearth of hardware or software options in today’s RFID solution marketplace. There is an abundance of varying hardware options (frequencies, functionality and application relevance, economics, etc. ), a wide variety of RFID software applications (middleware, line of business, etc. ), and complex back-end integration issues — the result is that many companies are unable to find a single vendor who can cover all of their needs, and they therefore are forced to piece together multiple systems. The result is a marketplace shortage of complete, or hardware/software-matched, solutions that require minimal time and effort to prove, develop, and deploy. Navigating this technology labyrinth is a challenge for first-time adopters as it puts a large premium on validating return on investment (ROI) for the internal business users and many times delays or makes such projects infeasible. As chief RFID strategist for your company, it gets very frustrating trying to explain the value of technology adoption for your specific business process when the evaluation phase is as expensive as the actual full-fledged implementation of the project. 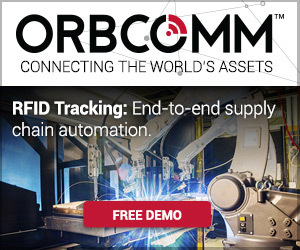 In a world where business users are used to downloading evaluation software free-of-charge, trying to justify a six-figure cost for RFID application proof-of-concepts becomes a formidable challenge. If there’s anything that puts the brakes on RFID implementations faster than technology issues, it’s the initial high costs associated with developing and deploying these applications within the four walls, much less across the enterprise. Hardware costs (and the services costs associated with installation, calibration, etc. ), software licenses, additional server infrastructure, integration, and scalability quickly add up, creating a significant hurdle for internal project champions to make and sell the case for application adoption. Proving a concept through a full-scale pilot can be as costly as actual deployment, especially in enterprise applications, where value of adoption (ROI) is dramatically enhanced by the number of enabled ecosystem partners. First we should perhaps define what is meant by RaaS — RFID applications as a service. Simply put, it is an RFID software application deployed as a hosted service, accessible via the Internet and paid for as a monthly fee. The term does not speak to the technologies or specify the architecture. Simple enough? Now let us deal with the nuances. As opposed to a classic SaaS application, an RFID application is dependent on information about the real-world via a collection of presence-aware sensors (i.e. RFID, GPS, etc.) as opposed to relying on “human glue,” (a collection of users manually inputting data). A component of any RaaS software solution needs to reside on the “edge” or in the physical domain where real work occurs. This edge component reliably filters, aggregates, and repurposes real-world events, then securely streams them into the RaaS component resident in the cloud. The primary reason for the edge component is to ensure reliable data capture in the event of intermittent, unreliable, or unavailable network access. This edge component or software agent can run on a mobile handheld device, phone, or vehicle mounted computer (on a forklift, etc.). Most importantly, the edge component can run anywhere, especially in areas that are traditionally not accessible by enterprise software applications — inside or outside the four walls of the enterprise, within the four walls of a partner’s enterprise, or between four walls of multiple enterprises. By reducing initial costs and executing more rapid, intelligent deployment, a company is able to accelerate ROI at a faster rate than standard models. In addition, the application can scale up or scale out based on business needs very rapidly, without a massive increase in capital outlay. Rather, the investment can be expensed — making it much easier to get buy-in from internal stakeholders. Costly, hair-pulling deployment delays are particularly reduced on the software side of things through a hosted service model. High costs and time associated with server installation and configuration are eliminated through shifting the software application to the cloud, and providing it as a web-based application, hosted by the service provider. RaaS additionally allows a company to spend significantly less upfront to develop and deploy RFID applications, shifting much of the risk of technology understanding and application adoption and complexity over to the RaaS service provider. Flexibility of delivery in terms of contract terms also reduces the amount of risk to which a business is exposed, as a company can sign up for a six-month or even monthly service contract, allowing the option to reevaluate or alter the application after a pre-defined period. Hardware may also be a viable addition to the managed service model of RFID application delivery. If a service provider is able to include hardware equipment as a part of their service, initial costs of application development and deployment are reduced further, as now the installation and configuration pieces are the only up-front expenditures. In addition, it removes the technology risk for the customer of committing to a particular hardware solution. Once deployed, the savings in this model continue. System configuration, testing, and other crucial tasks that in traditional deployments require training and at times new personnel are no longer a burden on the customer. System maintenance, upgrades, commissioning applications to locations and devices, device management, monitoring, and support/troubleshooting are now the responsibility of the service provider. While this situation can create definite reliance issues, this speaks to the importance of finding a RaaS service provider with a robust support infrastructure that is available when a business needs it most. 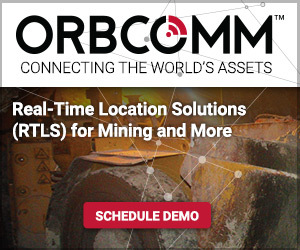 To learn more about ORBCOMM’s scalable RFID solutions from device to dashboard, visit www.orbcomm.com/rfid or email sales@orbcomm.com.